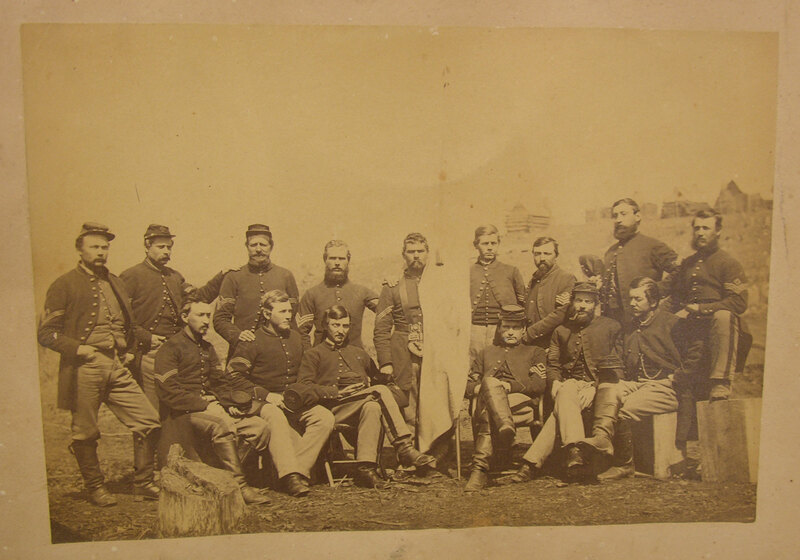 Chris Marquez sent me a scan of an albumen photograph of fifteen Union infantrymen, most in the group are sergeants. On many of the forage caps can be seen the familiar cross-shaped badge of the Sixth Army Corps. The soldiers are gathered around a flag. In the distance is visible a group of cabins, perhaps winter quarters for these men. Take a close up look at this large scan. If you recognize any of these fellows, please contact Chris.